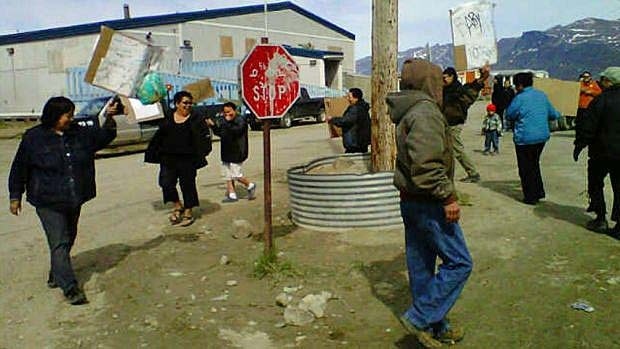 People in Pangnirtung, Nunavut, protesting high food prices in June 2013. Activists in Iqaluit [the capital of Nunavut] are organizing another protest this weekend against the high price — and poor quality — of food at the local grocery story. This is the fifth protest in three years organized by Feeding My Family, a movement meant to raise awareness about the high cost of food in the North and how that prevents many northerners from having happy, productive lives.